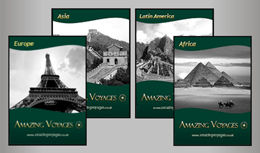 Amazing Voyages is a leading luxury travel company and adventure tour operator offering authentic and incomparable travel experiences around the world. With an enormous selection of private and small group luxury, premium and first class adventure and cultural tours, holidays and vacations, coupled with a strong commitment to sustainable travel practices, Amazing Voyages base in Mayfair London is perfectly located to inspire a voyage of discovery like no other. The selection of tours and vacations include destinations as diverse as Amazon cruises to golfing breaks in South Africa, cultural tours on the Easter Islands to voyages of discovery of the Khmer ruins of Indochina, from wine tasting tours in Argentina to unique trekking excursions to Machu Picchu. What does all of this mean to you, the traveller? This means that you can travel with Amazing Voyages around the most exciting destinations in the world with a company which combines expert knowledge, in private or small group tours, with the convenience, service and security of a UK based operation with 24/7 support from its network of on-site offices around the world. Our expert travel consultants will craft inspiring travel experiences in a detailed and personalized manner. Our company mission is indeed to provide a travel service like no other and surpass all your expectations. We provide unparalleled tours for the discerning traveller, offering, in addition to the traditional sites, access to largely unknown marvels and rarely frequented sites along with VIP access-only venues in a seamless manner showcasing both comfort and style. All tours are either private or small group allowing for a considerably more personalized trip style with time to explore, enjoy and marvel at all the amazing sites or destinations visited. All tours are based on visiting sites at the best times of the day and spending as much time at each site as you wish, unlike the rigid and all too often badly timed coach tour style holidays. In essence, you will experience and discover new destinations as you would hope to. With carefully selected restaurants based on the highest quality which combine quality fresh produce with innovative culinary flair to airport check-ins where you will be personally assisted so no need to worry if you do not speak the language; all trip details will have been meticulously taken care of. And of course Amazing Voyages will provide a logistical back up with English speaking staff in the event of any unforeseen circumstance. 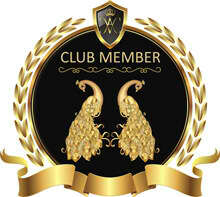 Simply put, you will embark on the finest; most personalized and carefully crafted tour available. An integral part of all our operations is the importance of sustainable travel practices. We firmly believe in leaving as few a footprints as possible in our incredible voyages whilst at the same time positively promoting and helping local economies and trading with local providers in a fair manner. With these sound concepts of old fashioned values in both care and high quality personalised service, unbeatable product knowledge and destination familiarization, modern technology with an integrated network of offices along with a responsible attitude towards the tourism industry, Amazing Voyages will inspire you and offer world journeys like no other.